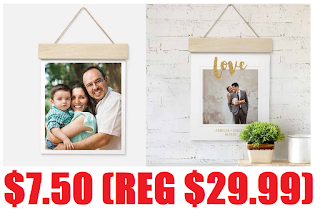 11" × 14" Wood Hanger Board Customized Photo Print $7.50 (Reg $29.99) + Free Store Pickup at Walgreens. Keyhole hanger or twine provided for easy hanging. Nice Price drop, these come out really nice looking!! !